It's another Monday, and it's back to the grind! Here's some #MondayMotivation to help get you through the week! 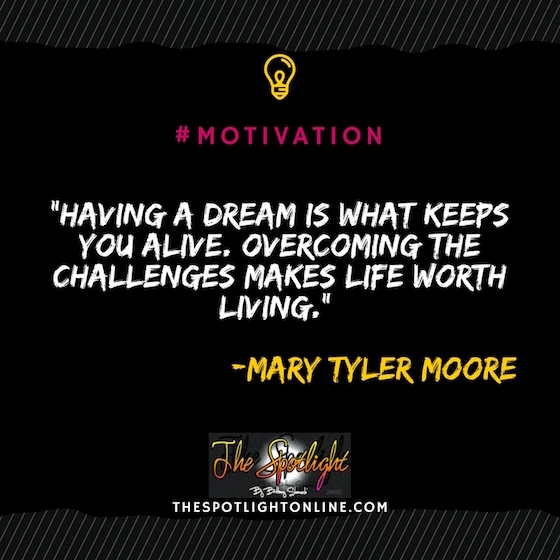 This quote is from the late great Mary Tyler Moore, who just passed away last week at the age of 80. I read this, and was instantly rejuvenated. Working towards my goals keeps me going, and killing milestones or challenges that come my way does feel great. I need that, in the midst of everything that's going on around me. That gets me out of bed in the morning. I hope that's the same for each of you. This motivated me to stay on my grind, and keep smashing my goals!